Played from an elevated tee across a valley onto a green set into a steep right to left slope with two bunkers above the green. The ground drops away sharply in front and on the left. 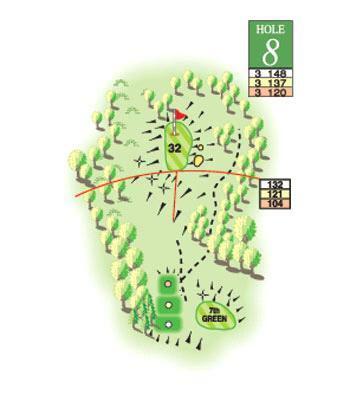 An accurate tee shot is required and the green is not as simple as it appears.